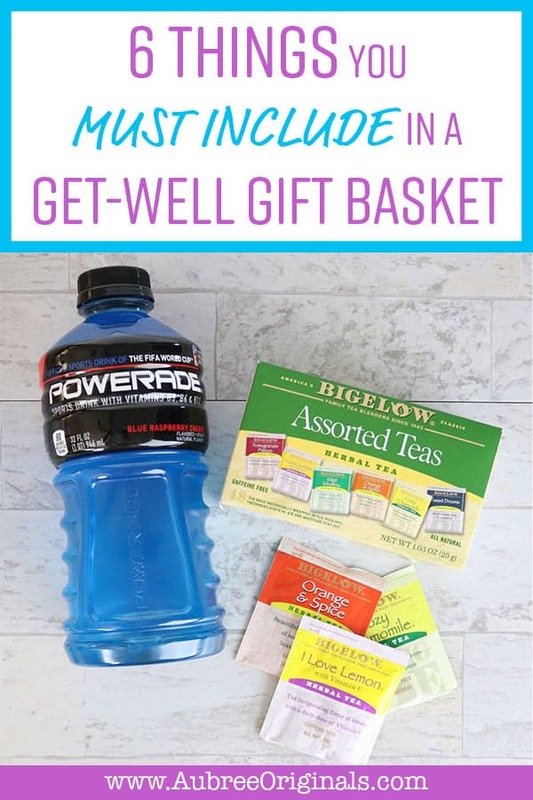 Looking for a great gift to deliver to a sick friend? 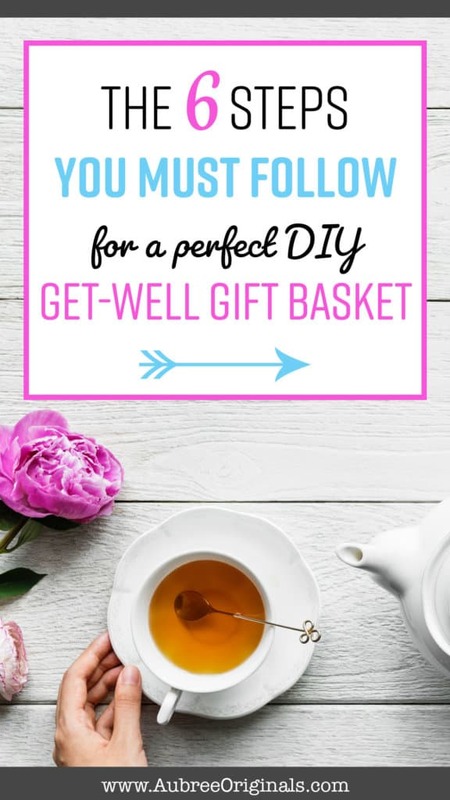 These ideas will help you design the perfect DIY get-well gift basket that includes all the essentials they’ll need to fight their cold and get feeling better. I’ve just gotten over a nasty cold. That Jared lovingly gave to me. (Kisses might pass germs? You don’t say…) But I think I kind of deserved it. It turns out that I’m not very compassionate or sympathetic when it comes to being sick. I guess I was just raised to put on my big girl pants and take care of myself. So…I wasn’t exactly dishing out the love when Jared was acting so run-down with a common cold (psh, and obviously it was an act, because, hello, no cold can knock you down that much). And then I got sick…and it completely wiped me out. So…maybe it was a little worse than the common cold… Flu, maybe? Lucky for me, I was able to sleep for a whole week and recovered fairly quickly (unlike Jared, who has a full-time manual labor job that he wakes up at 3 or 4 am every day for, and is going on three weeks of exhaustion). So…I’m learning a much-needed lesson in the value of sympathy. Especially because, even after my initial utter lack of sympathy for Jared, he pampered me with the strong cold meds, meals out, and the go-ahead for all the rest and relaxation I needed. What can I say? Seriously, I found a gem. I love him. And I’ll just keep eating this humble pie over here. So…don’t be like me. Be a nice person and have sympathy. Got it? Okay. Now let me tell you exactly what a sick person wants and needs this flu season, because this is everything I needed (and got, thanks to a very amazing husband). 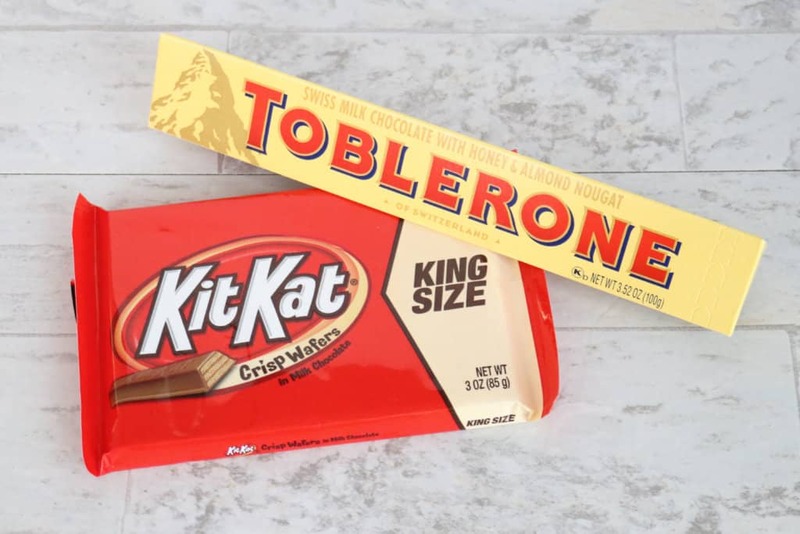 Okay, yeah, everyone’s idea of a “perfect” gift basket is going to be a little different. So I won’t tell you the exact items you need to include. But I’ll give you the formula for the essentials. Include these six things, and you’re bound to get a giant hug from your sick friend (but…maybe take a raincheck for when they’re not full of snot). These are the obvious items: cold medicine, tissues, and vitamin C supplements. And, yes, your recipient may already have these things. But then again, I went through loads of tissues last week, so I know an extra pack to throw on a nightstand or in a coat pocket wouldn’t hurt. Lotion and chapstick are also nice additions here. As my nephew would say, I was “so sneezy!” After all that nose-blowing, your skin could definitely use a little extra care. Hydration, hydration, hydration. 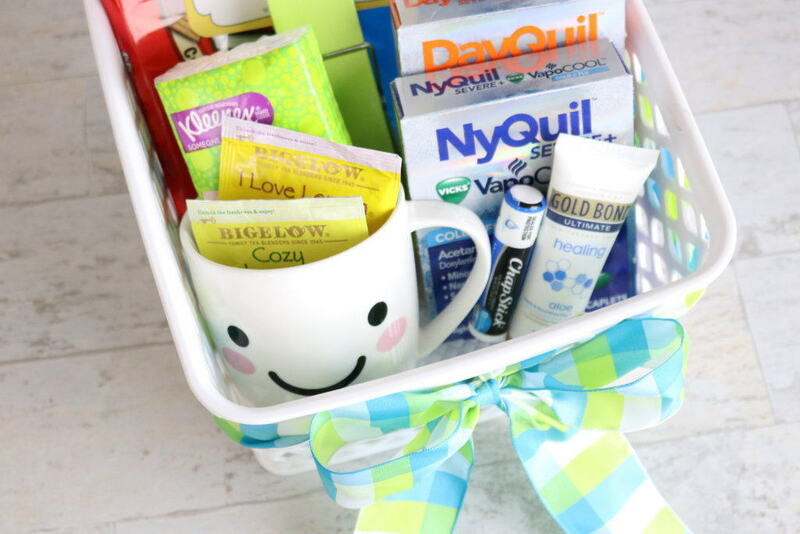 Something to flush all the bad germs out, something to throw back those happy pills (NyQuil) with, or something to luxuriously sip while lying in bed with that old friend, Netflix. Or all of the above. 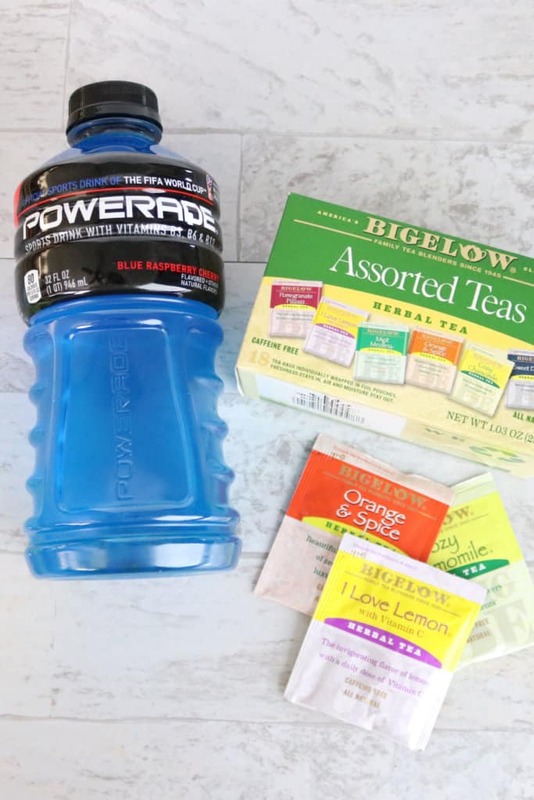 My choices would be Powerade, Bigelow herbal tea, Simply Orange Juice, or a gift card to a soda place (because “dirty” sodas are my weakness). 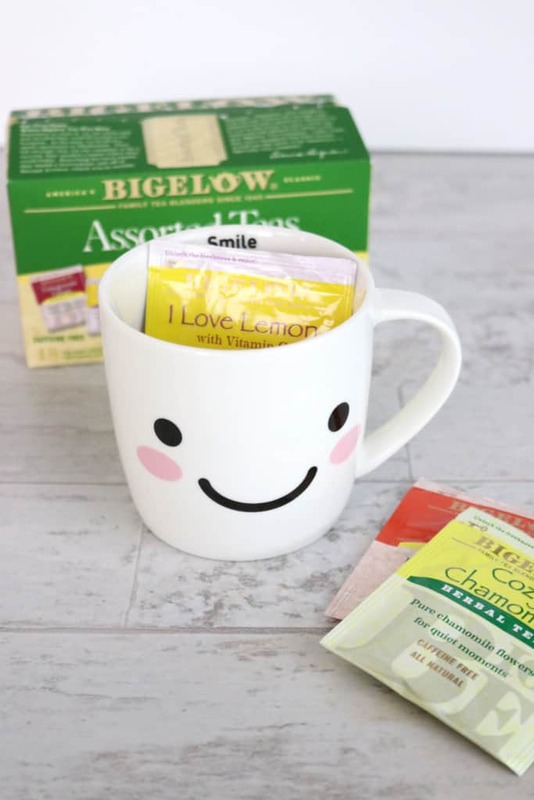 Bonus points for a cute mug, teacup, or insulated water bottle. 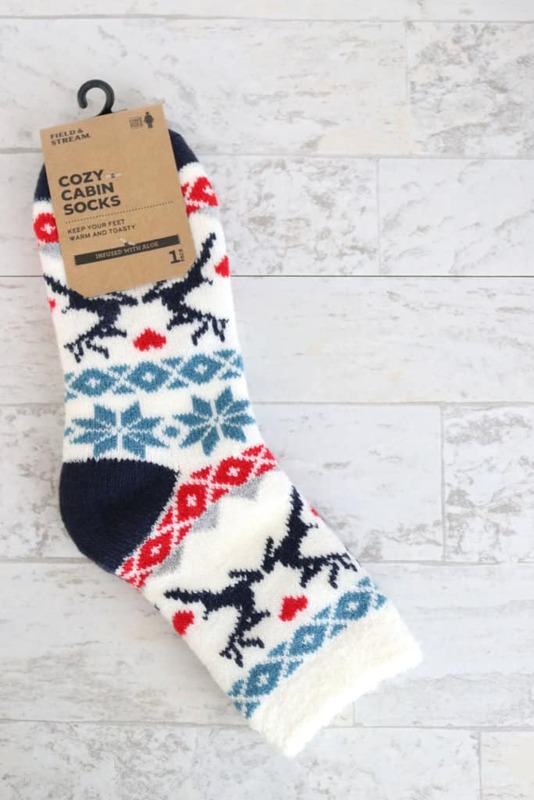 And how are those sickly, movie-watching individuals going to survive without a mermaid tail blanket, aloe-infused pair of socks, or these adorable slippers? I agree, they probably won’t. 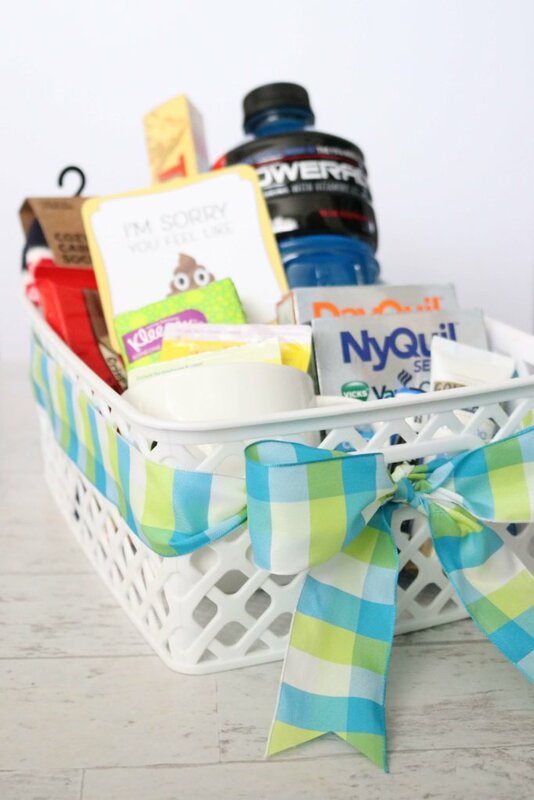 Last but not least, toss all those fun gifts in a cute basket and finish it off with a colorful ribbon bow. I used a cheap bin from Walmart for my gift basket, but this wire basket caught my eye and these small fabric bins are adorable. My favorite part about an actual gift basket? Reusable storage! 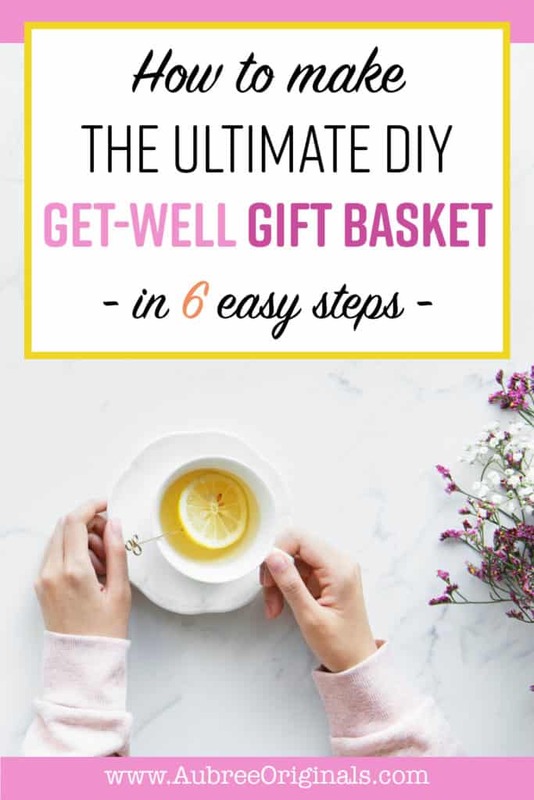 You get the added satisfaction of designing and arranging a cute basket (crafting therapy for you). Win, win…and win. What if you’re short on time or money? Totally okay. Someone who’s bed-ridden with a terrible cold is going to welcome any gift, of any size–I promise. Even a couple of things on this list would be a nice gesture. Bundle them up with a ribbon and you’re good to go! 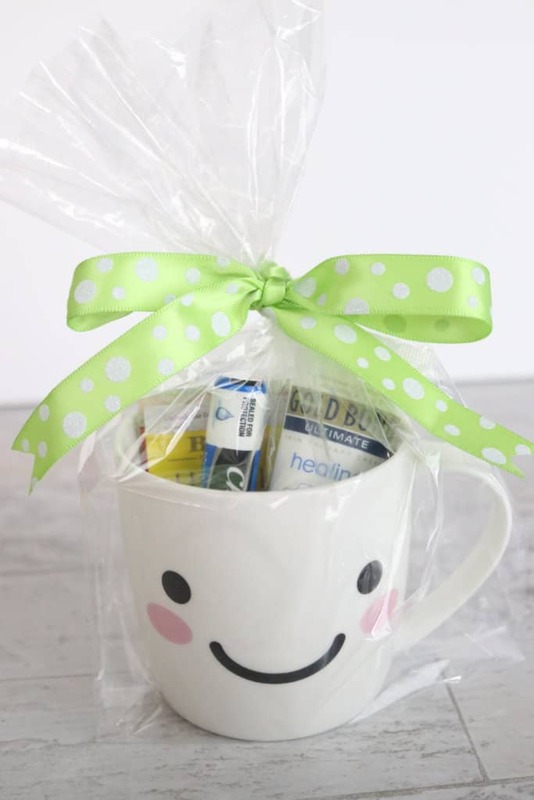 A cute mug, some herbal tea, chapstick and mini lotion make for an awesome simplified version of the perfect get-well gift basket! 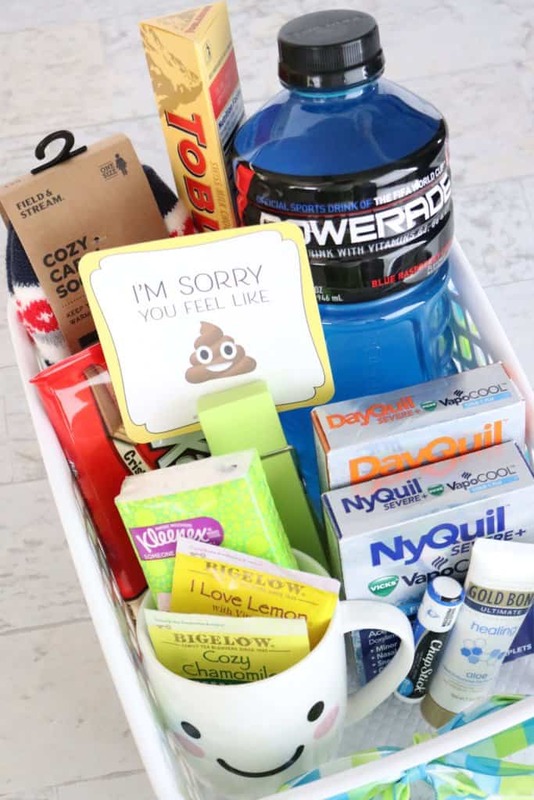 Someone you know is bound to be or get sick this flu season, so go gather these essentials and arrange them for a cute gift, all ready to go when you need it! Was this list helpful? 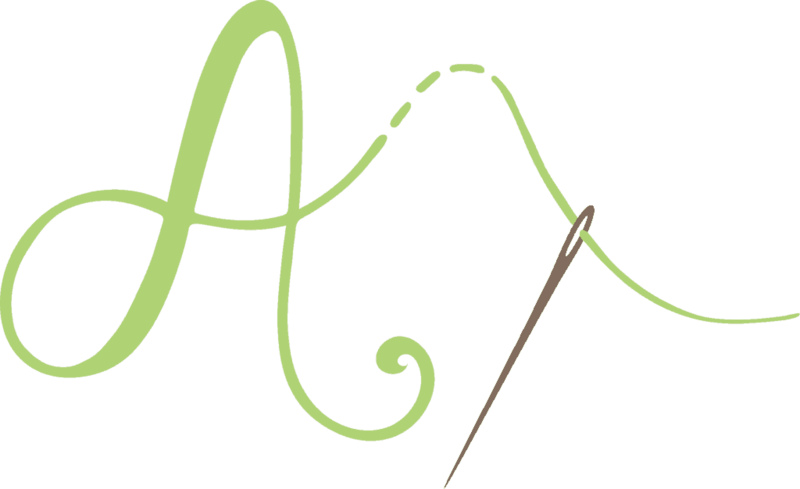 Please share with friends or save for later by pinning one of the images below!